Cross and Cutlass: Forsaken Dreams Pre-Release Party!! Week 1! Forsaken Dreams Pre-Release Party!! Week 1! Yay! It's finally here! Well, almost. My next release, Forsaken Dreams, (My 12th published novel!) will be out in stores on March 1st! In celebration of this grand event, EVERY Friday in February, I'll be posting something about the book and giving away a FREE copy of the book!! 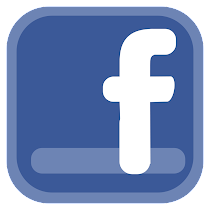 So, share this post, tweet it, post it on facebook and join the party! Without further ado, here's a peek at the cover and a teaser about the story. Eliza Crawford can barely remember the days of her youth spent in opulence and comfort at her Georgian home. She can't help but wonder how different her life would be had she not met her late husband, Stanton Watts, a general in the Northern army. Now a war widow, Eliza is rejected by both North and South. Desperate to keep her marriage a secret and escape her past and pain, she longs to start over again in Brazil. Brief Description: At age 22, with hair the color of maple syrup, glistening golden eyes, and an athletic build, Eliza feels like she’s already lived a lifetime. She can barely remember the days of her youth spent in opulence and comfort when she lived at her parent’s upscale hotel in Marietta, Georgia. If only she hadn’t met Stanton Watts, she wouldn’t be in such dire straits. But she was young and in love and her zest for freedom and adventure made her throw caution, convention, and her family’s disapproval to the wind, and follow her heart. Unfortunately it led her to a miserable year of marriage to a man who was hardly ever home. Brigadier-General Stanton Watts, killed in action, December, 1862 during the Battle of Fredericksburg. She could still see the handwritten post that changed her life forever and sent her from Pennsylvania back to Georgia and eventually to the rebel front lines as a nurse. Even after her husband’s death, her family would not forgive her for marrying a Union soldier. Now, rejected by people on either side of the war, Eliza finds herself alone in the world, without friends, family, or means to provide for herself. She sells her remaining jewelry and possessions and procures passage on the NewHope heading for Brazil. Perhaps there, with her secret hidden, she can escape her past, her pain, her rejection and start over. Quirks: Eliza is a take charge kind of woman not easily frightened by new challenges. She possesses an independent spirit that craves freedom and therefore she often has trouble following any rules or direction if it goes against what she wants. Outwardly, this manifests itself in her unruly hair which she can never seem to keep pinned up in a coiffure dictated by proper etiquette. Inspiration: Eliza is the type of heroine we often see in film and in books. She’s the fearless conqueror who takes life by the horns and fights for her way. She’s the woman who defies conventions and rules and lives by the impulses of her heart. She’s the artist, the dancer, the actress, the free thinker. Her zest for life and her huge heart are truly gifts from God, but like all gifts, they can be used either for good or evil. Unfortunately, Eliza tosses away God’s healthy restraints on her zeal and ends up making a huge mess of her life. So, what do you think of Eliza? Can you relate to her at all? Are you a free spirit, a dreamer, courageous and independent or do you tend to play it safe, obey the rules and draw within the lines? (Which is more the way I am!) And why is it that most of us seem drawn to the strong, independent heroine? Fri Feb 1st .... eeehhh gadzooks -- it's "February" already !!! What ever happened to January ??? For starters ... might I say that the cover on "Forsaken Dreams" is one of the best ever ! It's really beautiful, captivating, and mysterious looking. I love Eliza already ! I can relate to some' of Eliza's strengths, but also to some of her weaknesses. However, I am NOT the 'fearless conqueror' ... but rather tend to -- 'play it safe', 'obey' the rules', and, 'draw the lines'. And yes, I am totally drawn in to and eager to read how Eliza is that "strong, independent heroine". Can hardly wait to read this newest book, MaryLu !!! I love Eliza already! I think we are drawn to strong heroines is because we see things in them that we admire and wish we were. Inside, I am more like Eliza. But the side that shows because that's the way I was brought up is the more reserved, obey the rules and play it safe me. And, I'm with Brenda-- I LOVE THIS COVER!! It's so beautiful. :) cannot wait to read it (and neither can my daughter). WOW! The picture of "Eliza" is dead-on to your description. Looking forward to reading her story. I am definitely the play it safe, obey rules type, but love reading about those who are not. Thank you for the opportunity to win a copy of the book. Win or lose it's a must read for me. I would say I tend to play it safe, obey the rules. Wow she's gorgeous! I can't wait for the sneek peek of the Colonel either! Thanks for sneek peeks! Hiya!! I hate to copy others,but really,the cover of the book is beautiful and intriguing! I am of both personalities,for the most part I follow the rules,but for selfish reasons. I know that the more I do what is expected of me,the more priveleges(spelling?? Lol) I get. Anyway,I can't wait to read this!! All you're books are fantastic!! Okay...I am so excited!! I love this cover..it is so beautiful. I have been waiting forever it seems to read this! I don't want to be entered to win as I have purchased a special pre-buy! But I want to be here for the fun! So excited.....March 1st will be here before you know it! Congratulations on your new release. Eliza's story sounds like one not one to miss! I'm so intrigued! This cover is probably my all-time favorite of historical covers. And I can't wait to read what's inside. Congratulations, MaryLu! Eliza sounds amazing. Her weaknesses remind me of mine. I can't wait to read this book. I am with everyone else, gorgeous cover and cannot wait to read it. Here is to a great February and a wonderful release in March!!!! Sounds like my kind of heroine!! Beautiful cover! Can't wait to read it!! This looks like an exciting read. I'd love to be considered for the drawing of a free copy. I come off as being a free spirit, dreamer, courageous because I am a "doer" and like adventure, but I do play it safe by researching that which I am drawn to doing. I have always been independent but enjoy the company of like minded individuals. Sounds like a real good read. This whole series sounds very intriguing, and I LOVE the front cover of this first book! Thank you so much for a chance to win! Can't wait to read MaryLu's latest book! She is one of my most favorite authors! Your book sounds really good. I like these kinds of stories. i am always looking for new authors to read. i have added your name to my TBR list. I love the name Eliza! I have been in love with that name for a long time! I am the opposite of Eliza for sure! I tend to try, as much as my sinful flesh will allow me to, to walk the straight and narrow. I always look forward to weeks preparing for the release of your newest novel! It is always a good time. Seems like forever since your last one - I watch and wait and wait and watch some more and THEN - WOWSER - you topped your last book cover with yet another! CANNOT WAIT TO GET THIS ONE - IT TOPPED MY MUST READ LIST THIS YEAR! I always love seeing reference pictures for characters. I know that everyone has their own ideas of what characters look like when reading a story and I am no different, but I have found that when I see the author's reference picture before reading a story I am like, "Hey, I can totally see him/her in that role," and that is usually who I picture throughout the story. I think we are drawn to the strong, independent heroine because secretly we wish we could be that way, without the character pitfalls. It sounds like a jolly good read :). I follow rules...or at least the ones that are logical and make sense ;). Reading your post makes me wish it were March 1st already! :-) Though I tend to be a "play by the rules" type, I admire those who can step out and take risks - Eliza's story sounds very, very interesting! I can't wait to read it! mary Lu, te cover is beautiful. Think the book is going to be very interesting with the ups and downs. The picture of Eliza sure fits the description given. I will be interested in how things go between these two, tho I tend to follow the rules mostly and stay on the safer side. But, is usually interesting to read about those who don't. Would love to win this book. Ooh I cannot wait for this to release! Is it February already?!? MaryLu, I am with the rest of them I think the cover is just Awesome. Eliza's picture is great & sounds like she is also. I can't hardly wait for Forsaken Dreams to come out.Like I said before I think you have out did yourself this time. MARYLU -- LOVE the character spotlight, girl, and cannot WAIT to get my hands on this book!! Hard as it may be to believe, like you, I "tend to play it safe, obey the rules and draw within the lines," which is just ONE MORE REASON why you and I are SO much like sisters!! Eliza sounds WONDERFUL, and knowing you, I'm pretty sure the chemistry between her and Colonel Blake Wallace will be steaming more than a hot cup of Brazilian coffee!! I love the cover of this book! I admire adventurous women like Eliza because I am so not that way. I tend to play by the rules and definitely like to play it safe. Thanks for the chance to win what I'm sure is a wonderful book. Oh, MaryLu, I am so excited....can't wait to read this fantastic book! The cover is just beautiful. Thanks for the giveaway. Ooh! I have been looking forward to reading Forsaken Dreams ever since the first time I saw the cover! Thank you for this sneak peek at your character! This looks like an exciting and adventurous story. When authors I admire tell me of someone (like you!) that is THEIR favorite author, I check it out. I was lady in waiting for a wealthy woman in the 50s, so it would be interesting to read about the lives on the other side of my employment! Eliza sounds like a great character! I like that picture of her, also. As always, I can't wait to read this! I would love to win this! Will be an amazing read! Good evening, MaryLu! Wow! How time has flown. Only just a few weeks until release day. SO exciting! I think I tend to lean towards the reserved side. I was never one to 'live on the edge', and that's probably why I enjoy reading books with heroines like Eliza who are a bit stronger and more courageous than I am. They are the epitome of how I wish I could be. I am new reader of your books - would love to win a copy of one of them. Thanks! Oh my gracious!!! I pray I win this book!! I am also a new reader of your books and would love to have a copy.. Thanks so much!!! Would love, love, LOVE to win "Forsaken Dreams"!!! Thanks for a chance with a giveaway. I am definitely a play by the rules kind of girl. I always have been! This book sounds so good! Definitely intrigued by the characters already. And the fact that I grew up near Marietta, GA makes it better! First off I love the cover of this book. I so enjoy books written in this time in history that this book is set in. The character Eliza is someone I will want to follow and see how her journey turns out. Thanks for a small peak into her life. Oh, yay!!! I can't wait to read this one! Loved your last book! Love the cover! Cannot WAIT to read this book. As usual, I'm sure it won't disappoint. Would love to win this. I've gotta say, I'm totally jealous of your picture of the character! She's gorgeous! And she definitely sounds like an interesting character...can't wait to read this story! Love the Cover of this book and the fact that you have a strong women in the lead. The description has caught my attention too! I'm looking forward to talking to you soon for book club. I can't wait to hear you talk about your new book! I've let others know about it! Can't wait! Grin! If the book is anything close to the excellence of the cover, I know I'll enjoy it. I like Eliza and love that she is a free spirit. Thanks so much for the beautiful description of this book. It sounds like a very exciting and educational story. I love it when a book goes beyond the norm. Thank you for offering a giveaway! Hi everyone!! I LOVE reading all your comments! Seems like many of you are like me.. more "play it safe" kind of people... who wish they maybe did something crazy now and then. (Well, maybe not too crazy!) Anyway, thanks for dropping by and sharing your thoughts. Don't forget to drop by next Friday to meet the hero! I've entered you all in the drawing! Eliza sounds like an exciting heroine. I am definitely not a free spirit nor a dreamer, though I am adventurous, but not impulsive. I would love to read more about Eliza. Wow, this looks like an excellent book. Please enter me in the drawing. I am most definitely akin to Eliza, in that, yes, all of her strengths could be said to be my own! :) Only the main difference is that I walk a very strong path with faith. I have always held a balance between the arts, science, the natural world, and my spiritual journey. I love seeking out anything that is artistically bent, as much as I love to colour outside the lines, take life by storm, and swim like salmon do against the conventional currents! :) I embrace the outside of the box, in other words! :) Writer, photographer, artist, my life is lived with a creative spin, I must say! :) I have a feeling that I will sink into Eliza's story, seeing murmurs of myself and quietly smile. We all have lessons to learn whilst we're here, and I adore brilliantly written strong female leads! Her greatest gift I think, is her strength and her inner joy for the unexpected. As much as for the adventurous daring nature she has for embracing new chapters of her life!! :) Rock on, Eliza Crawford! And, rock on, Ms. Tyndall for sharing her story with all of us! I tip my hat to enter this lovely bookaway! Thank you for offering such an exciting month of Fridays! 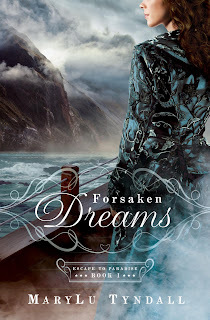 OMG the book cover of Forsaken Dream is so gorgeous. I just discovered your name and your wonderful books on Griperang's Bookmarks. I'm adding right away to my list of favorites authors. 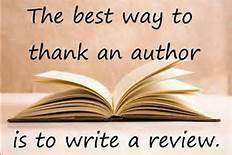 I honestly have not read yours books yet, but read nice reviews of them. I love historical romance! specially an adventure on the seas, because their are not too many. Thank you so much for this giveaway! Can't wait! I already feel like Eliza is an old friend- we have much in common & I can't wait to further tap into her story! Thanks so much! Hi MaryLu, it's been a while since you've heard from me! I'm glad I checked in today. I don't see myself as very much like Eliza. I'm only a free spirit in my opinions, not in my actual actions. I'm afraid I think different from everyone else around me, but stick with the status quo of my life. Does that seem a little hypocritical? Maybe...but like you say, we aren't put on this earth just to please ourselves either. Would love to win your new book! I hope I'm entering at the right place...I'm a new fan and would love to win a copy of your new book!